Aura4You multimedia software are all free for download and trial. You can download free trials of all the following programs. Rip DVD disc, convert videos between various formats. YouTube downloader. Convert between 30+ video formats. Download YouTube videos. Backup DVD movie to DVD / PC, burn DVD folder to DVD, decrypt DVD protections. All popular Aura4You Software in 1 Installation Package ! Note: All Aura4You Software support only Windows system currently. Other systems like Mac, Linux, etc. are not supported by Aura4You. Edit videos with photos, music, transitions, effects and subtitles. Create professional home movie and slideshow to your PC and iPod, iPhone, iPad, PSP, Zune, mobile phones, etc. Rip DVD movies to MP4, WMV, FLV, AVI, MPEG, SWF... Rip DVD movies for iPod, iPhone, media players and mobile phones. It's also a video converter and YouTube downloader. With this video file converter program, you can convert nearly all videos to the most popular and common formats. 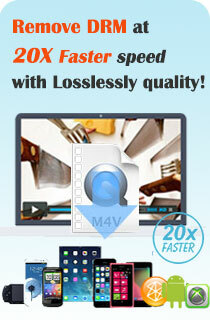 Converting videos for media players and mobile phones is even easier. Batch download web videos to your desktop. Aura YouTube Downloader now supports YouTube videos and Nico videos. Besides playing downloaded YouTube videos and Flash videos, this app makes it easy to publish your videos to webpage in professional styles. Record to convert Flash movies to AVI, MP4, 3GP and other video file formats. The Flash to video converter enables you to play Flash movies where there is no Flash player installed. The program can convert between audio file formats as well as extract sound tracks from videos and save in audio file such as MP3 and WMA. Making videos for iPod is common task for iPod users. This dedicated video converter for iPod is also an iPod DVD ripper. So you can both rip DVD and converter videos for your iPod. Aura Video to PSP can rip DVD movies and convert most videos to MP4 format for Sony PSP. With the program users can download and convert YouTube videos for PSP, too. Zune supports WMV and MP4 video formats. Aura Video to Zune is able to rip DVD movies and convert videos to both WMV and MP4 videos for Microsoft Zune media player. Free. Yes, it's the right free video converter that you are looking for. Aura Free Video Converter is among the best video conversion programs. Most importantly, it's free.